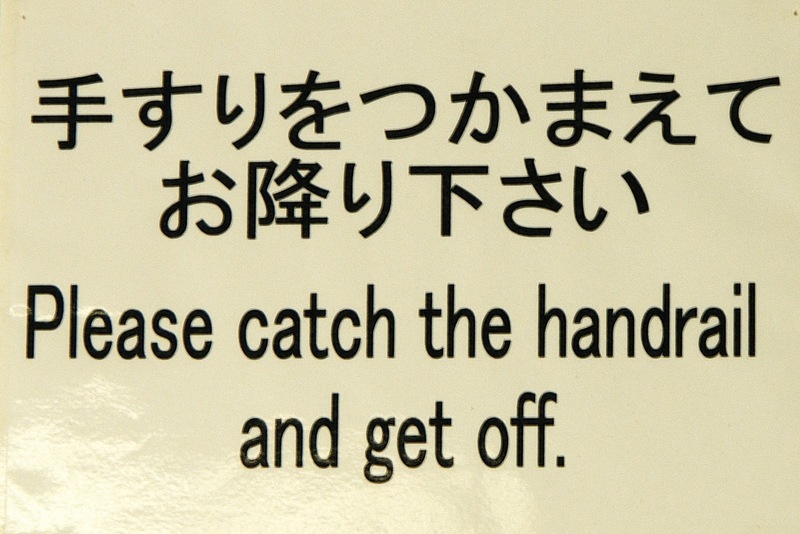 This Sunday's Silly Sign came from a museum in Naha Okinawa, Japan. "Please catch the handrail and get off." Now, that might confuse some folks not used to going to the big city. It had me scratching my head for awhile. But, I looked around and found a set of stairs going down into the museum display rooms. Sure enough, they have a nice stainless steel handrail. For those people so inclined, I suppose you can catch it and get off. Me, I just got as far away from the thing as I could and went down the stairs. And I sure am glad I didn't run into anybody getting off at the bottom.